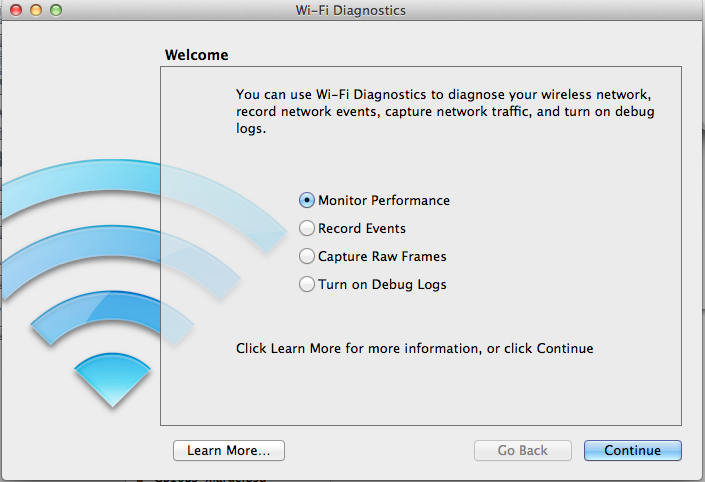 I recently found this hidden/undocumented tool (at least not in Network Preferences) in OSX while trying to debug some wireless connectivity issues at the house. Most modern Linux distributions already come with a few of these tools to do monitoring, watching when the network drops, or just monitoring signal vs noise ratio. I wont go into the detail of how to do that with Linux (perhaps another blog topic). If you want to checkout the Linux side, you might want to start here . However, the cool thing about Monitor Performance option is that at the end of the session, it saves a tar.gz file in your desktop. 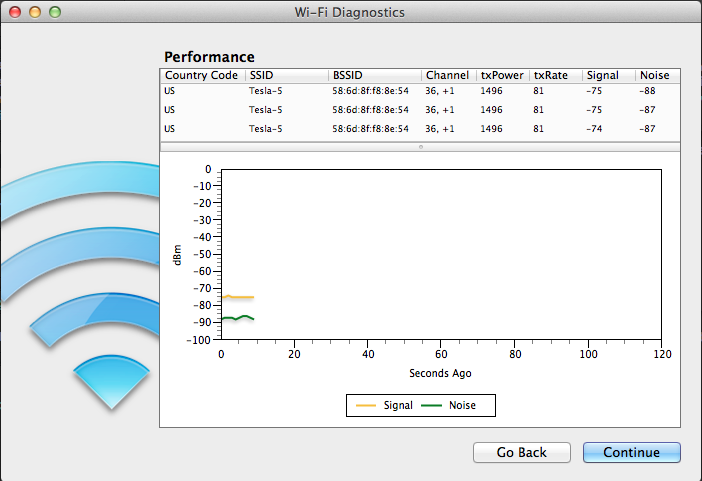 It’s named something like /Users/<username>/Desktop/Wi-Fi Diagnostics Data-20130105-1825.tgz. Lets look inside.